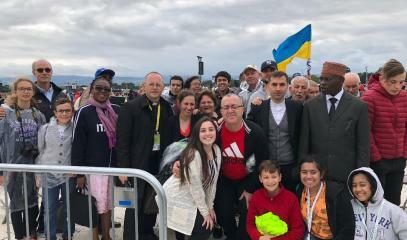 The relatives of the Chaldean priest massacred by the fundamentalists in 2007 met Francis at the world meeting of families, accompanied by Fr. Rebward Basa. He entrusts the memory of Fr. Ragheed to AsiaNews: "Example of love, forgiveness and reconciliation". The coexistence between Christians and Muslims based on rights, first of all that of worship. 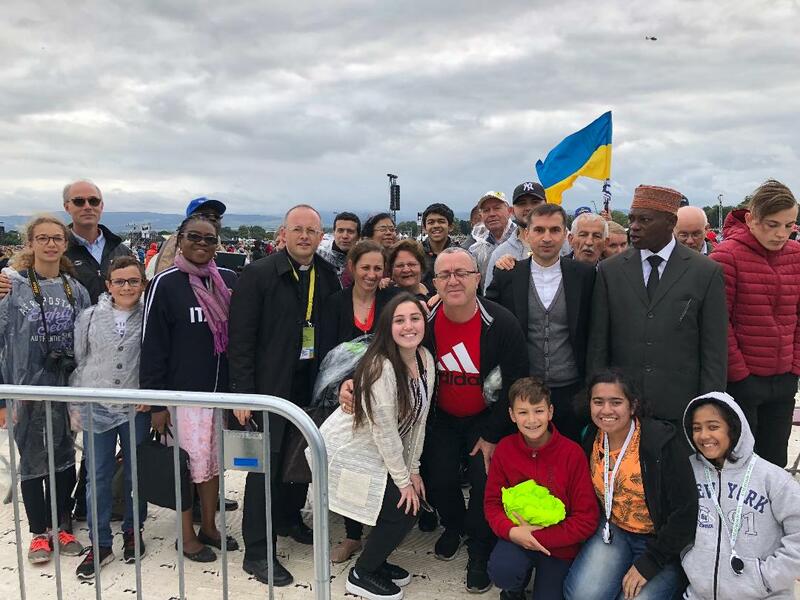 Rome (AsiaNews) - Fr Ragheed Ganni is "the emblem of anti-Christian persecution in the new Iraq". A spiral of violence began with the US invasion in 2003 and culminated in the rise of the Islamic State says Iraqi priest Fr. Rebwar Basa. He was a personal friend of the Mosul parish priest slaughtered –along with three deacons - in June 2007 by an Islamic extremist commando. Recently, Fr. Basa, who carries out his priestly mission in Rome, accompanied the relatives of Fr. 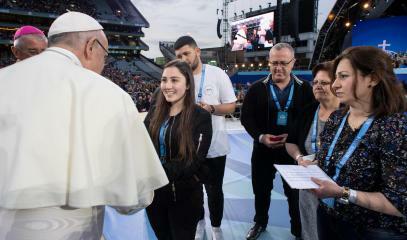 Ragheed to Dublin, Ireland, where they met Pope Francis on the occasion of the World Meeting of Families. 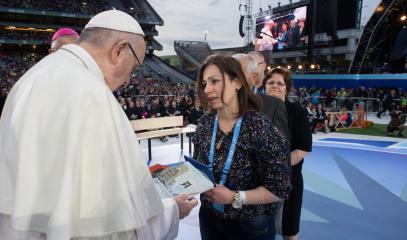 During the brief interview, the pontiff praised the courageous choice of the family members of Fr. Ragheed (pictured, the grave profaned by the jihadists) to choose "forgiveness and reconciliation, rather than hatred and resentment". 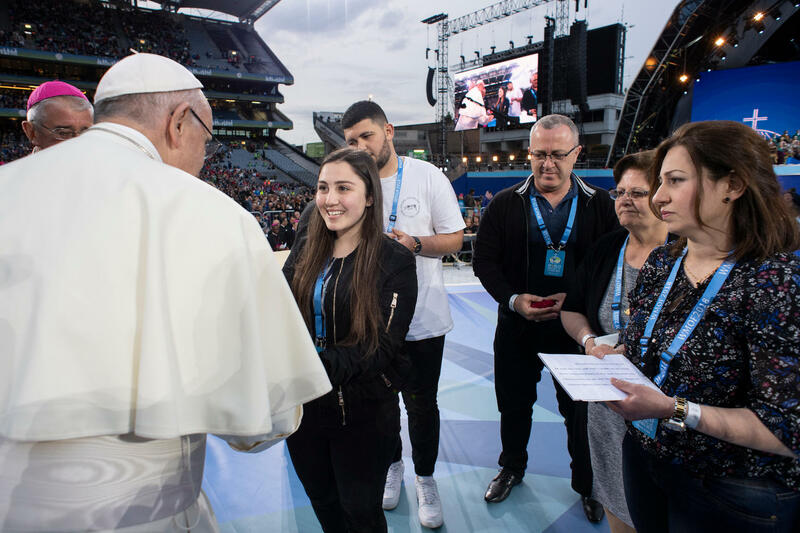 The Pope told them that they have witnessed "that evil can only be opposed with good and hatred can only be overcome by forgiveness. Almost unbelievably, they have been able to find peace in the love of Christ, a love that makes all things new ". A love that goes as far as martyrdom, recalls Fr. Basa, and which indicates once more that the coexistence between Christians and Muslims must be based on human rights and religious freedom. "This - concludes the priest - is the teaching of the martyrs who lived and gave their lives for their faith, such as the servant of God Fr. Ragheed and his three fellow subdeacons ". The figure of Fr. Ragheed Aziz Ganni represents the emblem of anti-Christian persecution in the new Iraq. Following the US invasion of 2003, Fr. Ragheed was the first Catholic priest killed by Muslim terrorists along with three young subdeacons (Waheed, Bassman and Ghassan) in Mosul on 3 June 2007. 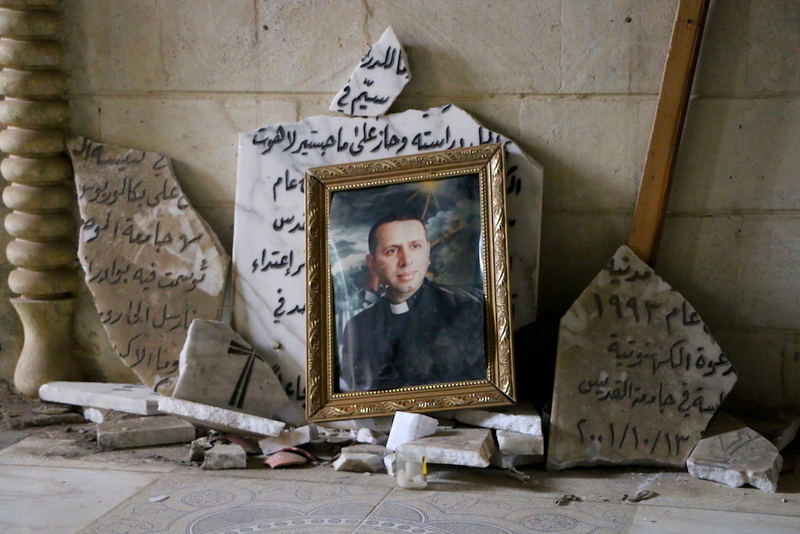 Before him, on 11 October 2005, a friend of his who was a priest of the Syrian Orthodox Church had been killed: Fr. Paulos Eskander. With the history of these first martyrs of the third millennium, the ferocious wave of persecution begins, culminating with the invasion of the Islamic State (IS, ex Isis), the protagonist of a true genocide against Iraqi religious minorities. Just as the splendid testimony of the priest Saint Maximilian Maria Kolbe in the dark history of Nazism at Auschwitz needs to be known by people, so too the splendid testimony of Fr. Ragheed in the dark history of al Qaeda and Daesh [Arabic acronym for ISIS] in Mosul and in the Plain of Nineveh. The importance of the testimony of Fr. Ragheed goes beyond the borders of Iraq. Because he and his three fellow martyrs are witnesses of Christ, and therefore an example for all Christians. Today the church recognizes them as servants of God and the process of their beatification has officially begun. Fr Ragheed lived for five years the daily martyrdom of constant threats and intimidation he received and the repeated attacks against parish and parishioners. And he was killed in a barbaric way by Muslim terrorists, because he had refused to close the doors of the parish. 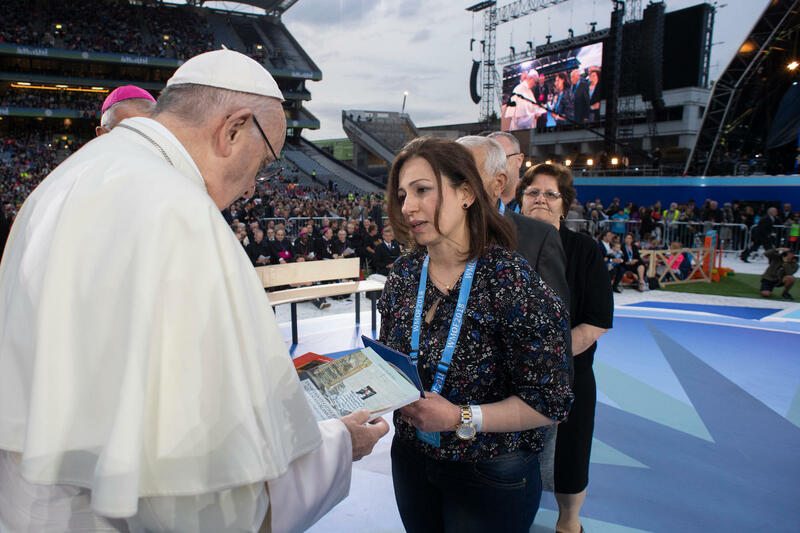 A martyrdom that has become even more dramatic today: in the recent article "Iraqi Christians, confused between survival and migration", the Chaldean patriarch Card. Louis Raphael Sako gave precise numbers and statistics, which reflect this daily martyrdom. Two things I will never forget about Fr. Ragheed. The first is his teaching. He was my professor of ecumenical theology in Baghdad in 2004. I remember him as a young competent teacher, convinced of what he taught and always smiling. His attitude on ecumenism confirmed it with his blood shed for Christ. Therefore he is a great example of the ecumenism of the blood. Another important memory for me is his participation in my priestly ordination in Mosul on 10 September 2004. Thinking of how he lived his priesthood with joy, courage, faith and love, in a situation that he himself described as "worse than 'hell', his example is a source of encouragement and consolation. Today the return of Christians to Mosul, after the tragedy of Isis, represents the return to the biblical and Christian roots, to the land of the prophet Jonah. The continuation of our presence is also an act of fidelity to the Christians who have shed their blood for the faith in that land in these two thousand years. In particular, Fr. Paulos Eskander, Bishop Paulos Faraj Rahho, the three fellow martyrs Faris, Rami and Samir, and Fr. Ragheed Ganni with his three deacons. Their teaching is basic: the right to live and practice one's faith in complete freedom. It is useless, not to say ridiculous, to talk about interreligious dialogue while there is no religious freedom and the recognition of human rights. If the foundations are not there, everything is destined to collapse with a simple gust of wind. The destruction of Mosul with the invasion of ISIS is a concrete example of this. In the absence of a culture of coexistence based on human rights, religious freedom, honesty and mutual respect, everything collapses and takes everyone with it. I would therefore like to make a final appeal to those involved in the dialogue between Christians and Muslims: please, put religious freedom at the center as a fundamental pillar. And if someone refuses to recognize human rights and freedom in all its forms, he does not believe in dialogue; he is not worthy to enter into dialogue because he is hypocritical. And those who adapt to this kind of ideology that ignores human rights and freedom, helps to create fertile ground for extremism and terrorism. This, in my opinion, is the teaching of the martyrs who lived and gave their lives for their faith, such as the servant of God Fr. Ragheed and his three companions subdeacons.